Now that we have gotten terms like cannabinoids, cannabinoid receptors, THC, and CBD out of the way, let’s talk about other terms. Hash is short for hashish. It is derived from the cannabis plant by removing its trichomes through sieving or filtering. And once the cannabinoid-laden powder is collected, it is pressed and is then ready for use. Hash can be used for medical or recreational purposes. It ranges in strength, but since every non-active part of the plant is removed, it is generally more potent than straight flowers. There is also a similar concentrated product that is chemically produced using a solvent. This product, however, is commonly called hash oil or honey oil. Indica or cannabis indica is a species of cannabis plant. Indica plants generally came from Asia and the Middle East and include the kush and Afghan lineages. Compared to Cannabis sativa, indica plants are bushier and shorter, and they possess a more compact flower structure. This species of cannabis is more known to have a sedative quality and relaxing effects. Sativa or cannabis sativa is a cannabis plant species. Originating from outside of Asia and Middle East, the sativa species include strains from areas like South America, Africa, the Caribbean, and Thailand. These strains have light green leaves that are longer and thinner than the indica plants, and they grow taller. They also take longer to flower. Sativa plants produce uplifting and cerebral effects, making users more energetic. Kief is what you call a collected amount of trichomes separated from the other parts of the cannabis flower. And because trichomes are sticky crystals containing the vast majority of cannabinoids in the plant, kief is very potent. Sometimes, kief is also wrongly referred to as pollen and it is the primary ingredient in the production of hash. 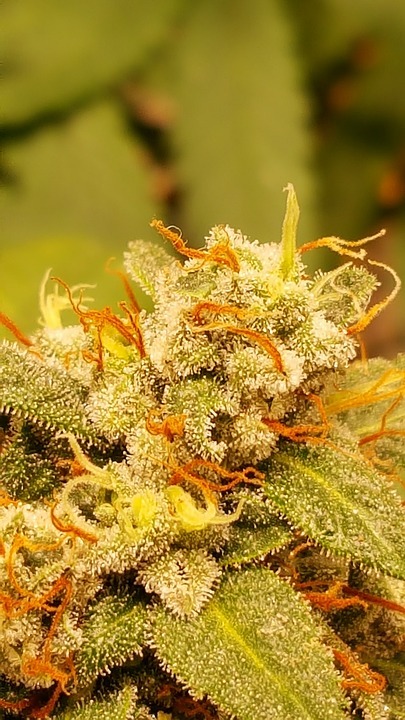 Trichomes are what you call the cannabis plant’s resin production glands. These sticky little protrusions give the plant a hairy look. However, they are not hairs, nor crystals. Cannabinoids like THC and CBD are produced in these glands. Terpenes are organic compounds contained in the oils that are produced in the trichomes of the cannabis plant. Terpenes give the cannabis buds their fragrance. Strains are specific varieties of cannabis plant species that are bred or developed for medical or industrial applications. Strains are developed specifically to produce distinct cannabis traits and qualities. The strains are often named by breeders and reflect the cannabis plant’s appearance, its place of origin, or the kind of buzz it offers. Tinctures are liquid cannabis extracts that are produced with glycerol or alcohol and are often dosed using a dropper. Tinctures can come with flavors and they are usually sublingual or placed under the tongue to be quickly absorbed. The effects will be felt within minutes. You can also mix tinctures into your drink, but it takes longer for it to take effect because the substance will be absorbed by the digestive system. A concentrate is a very potent THC-containing form of cannabis that is produced by dissolving cannabis in a solvent like Carbon Dioxide or Butane, thus consolidating the cannabinoids into one highly potent mixture. Depending on the production method, the final concentrate product can be resinous flakes (called shatter) or oil (wax).